Enjoy the top 13 famous quotes, sayings and quotations by Carol Lynch Williams. Time has this way of slowing down and speeding up,depending on how it feels. “An accident you're in? It marks you on the outside, maybe. Scars your face or your skin-breaks bones,crushes skulls,leaves the body changed. An accident witnessed? You're different on the inside. Maybe there's no cut someone else can see, bu there're always injuries on the inside. “I'm my mother's first child, born when she was almost fourteen years old. "Think of it," I said to Laura when I turned twelve. "I'm almost Mother Sarah's age when she was married." Laura looked at me, her squinty eyes even more narrowed. "You could have your own old man as a husband," she said. "Shut up," I had said. “Do you believe in Jesus? 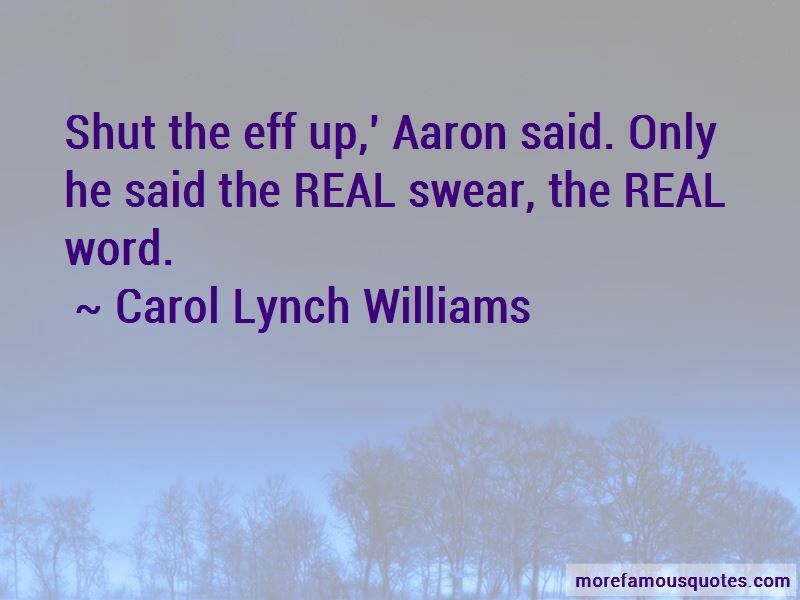 Want to see more pictures of Carol Lynch Williams quotes? 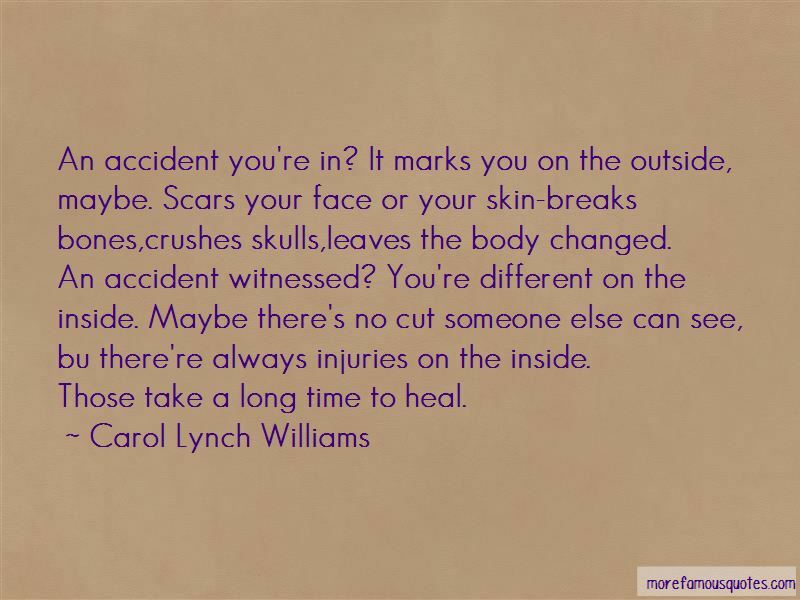 Click on image of Carol Lynch Williams quotes to view full size.